KEW GARDENS, QUEENS. – The Kamali Organization has announced the sale of a two-story penthouse at The Classic at Kew Gardens, the new collection of 52 luxury condominium homes located in this sought-after Queens, NY neighborhood. The fifth-floor penthouse — the largest home in the distinctive six-story building — features 1,385 square feet of living space with three bedrooms, three baths and four terraces offering 561 square feet of outdoor space. According to The Marketing Directors, Inc., the building’s marketing and exclusive sales agent, the home sold for $850,000. 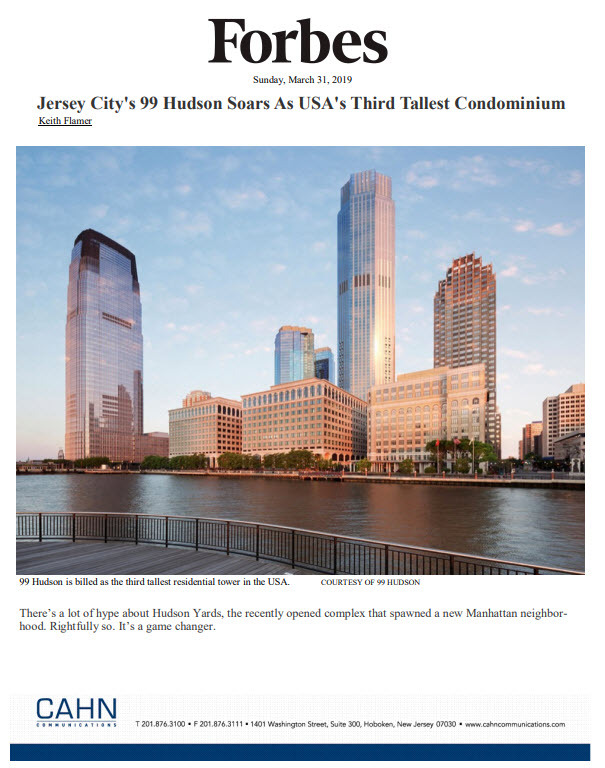 “The Classic continues to gain traction with buyers from throughout New York City who recognize the extraordinary value offered here,” notes Jackie Kamali, a principal of the development firm that bears his name. The penthouse was sold to current Manhattanites who are leaving their Park Avenue South apartment for The Classic. The Classic at Kew Gardens perfectly blends old world charm with modern amenities due to a unique architectural design that combines four newly added floors with two existing levels that all pay homage to the English Colonial design commonly found in Kew Gardens. Prices for the condominium homes initially begin in the mid-$300,000s. The first homeowners will begin moving in this spring. Manhattan-style amenities and services include The Classic Club which features a fitness center with state-of-the-art equipment, a children’s playroom and an exquisitely decorated social lounge with a catering kitchen, dining room, game table and a large plasma TV. There’s also The Salon, a relaxed setting for reading the newspaper or utilizing the available wireless capabilities, as well as complimentary bike storage, available personal storage, and an attended indoor garage. The elegant condominium residences at The Classic combine stylish interiors with an abundance of private outdoor space. The homes offer from 574 to 1,385 square feet of luxury living space, along with a considerable array of high-end amenities and finishes. The homes feature carefully-selected custom appointments, including gourmet kitchens with Aquamarina granite countertops, espresso-colored cabinetry, and GE® Profile appliances. Lavish master baths feature Calacutta marble counters, Tao Ci porcelain tile floors and showers, glass enclosed shower stalls and Kohler fixtures. Many of the homes also boast considerable outdoor space ranging from unique windowed loggias to expansive terraces. The Classic is located in the heart of a neighborhood that offers the allure and privacy of a genteel, suburban environment, yet is within easy reach of the modern conveniences and amenities of a cosmopolitan City. (718) 805-3800 or visit http://www.classickewgardens.com. The onsite sales center is located at 83-30 Kew Gardens Road, Kew Gardens, New York. The Kamali Organization is a premier, family-owned real estate development firm specializing in luxury multifamily residential communities throughout Queens, NY. The principals are known for their meticulous attention to detail, visiting every project every day. The developments all share one common denominator: a high degree of quality, inspiring finishes and a keen focus on unique and compelling design.